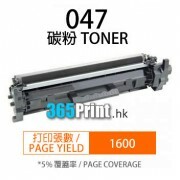 1-Year Warranty ISO Quality Standard Premium Quality Cartridge! Buy 2 And Get 5% Off, Buy 3 And Get 10% Off! Order before 12pm on a business day, the shipment will arrive in ..
1-Year Warranty ISO Quality Standard Premium Quality Cartridge! Buy 3 And Get 10% Off! Order before 12pm on a business day, the shipment will arrive in afternoon between 2:30..
6 Months Warranty ISO Quality Standard Premium Quality Cartridge! Order before 12pm on a business day, the shipment will arrive in afternoon between 2:30pm-6:00pm for Office a..